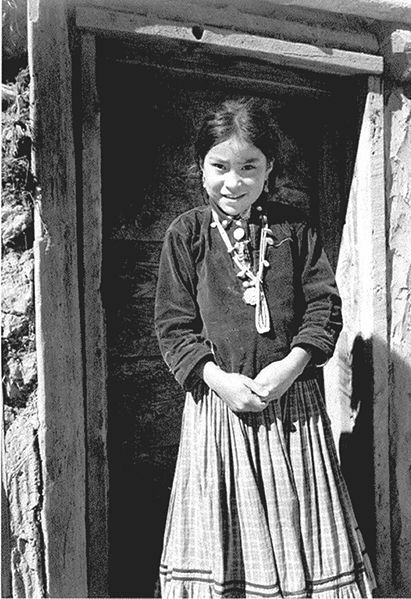 The Navajo culture and traditions were much geared towards their family life. Many of the Navajo Indian games and traditions were developed because of their love for land and their attachment to it. The games they play were mostly developed in the long winter nights when the reservation was secluded to amuse and entertain themselves. The Navajo culture is big into ceremonies and rituals. Their performances are usually four days, two days, or one day. Although some chants could be as long as nine days and require dozens of helpers. The most important ceremonies are the ones for treatment of ills, mental and physical. The Navajo are also very big into nature, so almost every act of their life is a ceremony of nature, including their building of the hogan, or the planting of the crops. All the Navajo culture ceremonies are included with songs and prayers. In the Navajo culture and traditions there are over 24 different Chantway ceremonies preformed by singers, and over twelve hundred different sandpainting designs that are available to the medicine men. The Navajo culture used Sandpainting as a spiritual way to heal the sick. When they sandpainted, they made the painting in a smooth bed of sand, which was only temporary. Crushed yellow ochre, red sandstone, gypsum, and charcoal were used to create the images during their chants. The chants were for the Earth people and the holy people to come back into harmony, which provides them protection and healing. In the Navajo culture, color has many symbolic meanings. For an example a single color can have many different meanings, it all depends on the context in which the color is used. The four main colors used are black, white, yellow, and blue. As part of the Navajo culture and traditions, these colors define direction. Black is referred to as north, white represents east, blue represents south, and yellow is represented as west. The colors could also represent the time of day. Black could be referred to as night, White could be referred to as dawn, blue could be referred to as day, and yellow could be referred to as dusk. Copyright © Navajo Indians 2017. All Rights Reserved.